One of the major documents of modern European civilization, Robert Burton's astounding compendium, a survey of melancholy in all its myriad forms, has invited nothing but superlatives since its publication in the seventeenth century. Lewellyn Powys called it "the greatest work of prose of the greatest period of English prose-writing," while the celebrated surgeon William Osler declared it the greatest of medical treatises. And Dr. Johnson, Boswell reports, said it was the only book that he rose early in the morning to read with pleasure. In this surprisingly compact and elegant new edition, Burton's spectacular verbal labyrinth is sure to delight, instruct, and divert today's readers as much as it has those of the past four centuries. Robert Burton (1577-1640) was elected a student of Christ Church College, Oxford, in 1599 and took his B.D. in 1614. He served as a vicar in Oxford and then as the rector of Seagrave. 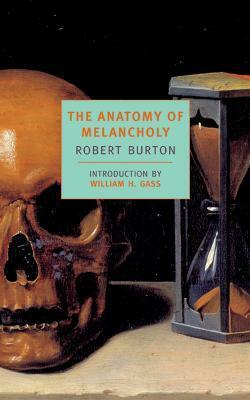 The Anatomy of Melancholy appeared in five editions during the author's lifetime and has been reprinted countless times since. William H. Gass (b. 1924) is an essayist, novelist, and literary critic. He grew up in Ohio and is a former professor of philosophy at Washington University. Among his books are six works of fiction and nine books of nonfiction, including On Being Blue (1976; published as an NYRB Classic), Tests of Time (2002), A Temple of Texts (2006), and Life Sentences (2012). Gass lives with his wife, the architect Mary Gass, in St. Louis.